Perhaps it is the unmistakable romantic impression that we so naturally associate with all things French, or perhaps it is the unassuming façade and ordinary wooden interior that always fill us with a kind of inexplicable serenity, or maybe it is just that eager anticipation to experience once again that contented sensation of tasting a delicately made French crepe. Regardless of the true reason, we have repeatedly “fell prey” to this beautiful French café located quietly at Brunswick Street, albeit voluntarily and always with joyous hearts. 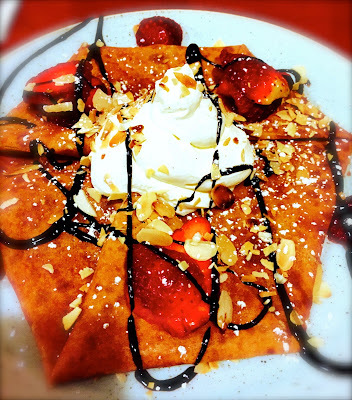 Easily accessible by tram and within walkable distance from the East of CBD, a visit to the Breizoz French Creperie has become an unbreakable ritual, especially during those late evenings when we are flooded with sudden craving for real fluffy and melt-in-your-mouth French crepes. 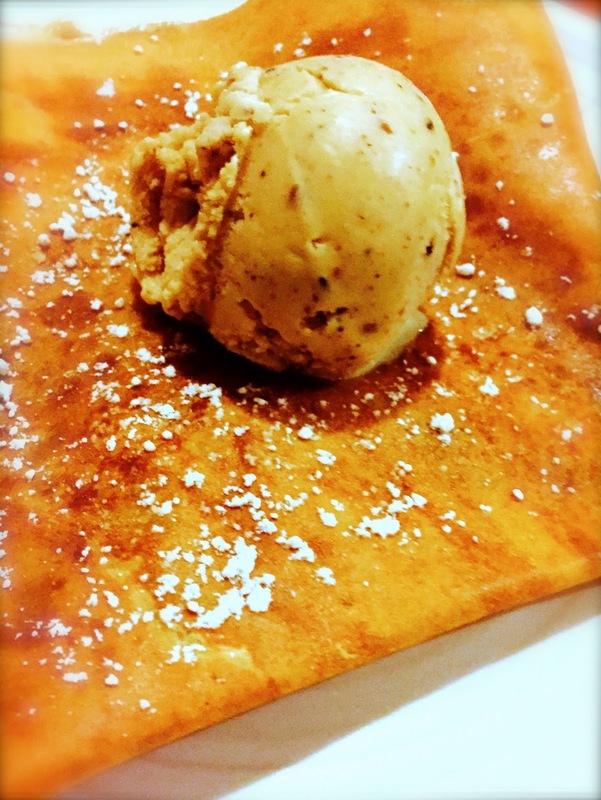 The classic Beurre Sucre (butter and sugar) crepe topped with a scoop of its signature praeline ice cream is my all time favourite. The buttery surface of golden brown with lacy-thin embroidery at the edges, its smoothness and tenderness, the perfect balance of subtle sweetness and nutty fragrance; each spoonful was pure delight to the taste buds. Or what about a savoury galette infused with buckwheat flour, served with Ratatouille and its vegetarian goodness, or an option of simple ham and cheese partially hidden under the folded crepe? 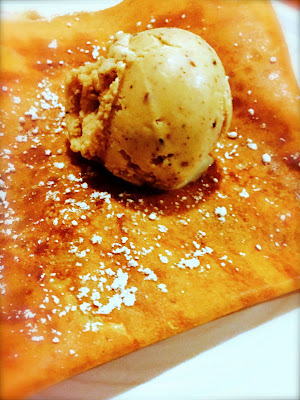 Breizoz is a rare little gem in town where French crepes are made to ultimate perfection. Seamless techniques are essential to produce such delicately circular pancake that pleases the eyes and is enjoyable to the taste. It is a science demanding strict and refined control of flavour, temperature and timing; an art that challenges the skill of crafting consistently thin and tantalizing crepes. An overly heated pan will give you a lumpy crepe with ugly tears and uneven face. Done too quickly and the crepe will lose its attractiveness without the crucial golden-brown dimples; yet an overly cooked batter will produce a dry and depressing pancake, missing the vital moisture. A batter spread too thinly will give you a tasteless crepe lacking any real substance; too thick and the dish loses its aesthetic value and the characteristic of a perfect French crepe. Breizoz, has done it flawlessly. The price of the crepes is of an average to upscale level. A savoury galette with goat cheese and onion costs $11, and an orange and lemon sweet crepe costs $9, with $4 per scoop of homemade ice cream as topping. Considering that galettes and crepes were traditionally staple food well loved by peasants in Brittany made from the simplest of ingredients, the bills did make us frown a little. Yet, like an unspeakable spell, we know we will be back for more; in fact, very soon, when the next impulse strikes.